Watch full episodes online at www.wmht.org/program and see extended filmmaker interviews on the TvFILM blog. The Capital Region's WMHT TvFILM series launches its 2nd season this Sunday, June 27 at 10:30pm. This season's opening episode will feature Chase's collaborative film 11 Ideas (About People and Stuff) with an interview and commentary by Chase about the making of the film, its concept and its future. More about 11 Ideas here. Cadillac Moon Ensemble presents a concert of works for a traveling quartet. Brand-new works by Nicholas Chase, Matthew Welch as well as works by Wolfgang Rihm, Pawel Szymanski, Christian Wolff, and Jay Batzner. Chase's Street Mixes tune the music of the composition to the urban environment and include every day street noise as part of the orchestration. Premiering will be Chase's Street Mix No. 1: New York Above Ground tuned to the intersection of Canal and Centre Street, New York. "Vox Novus is proud to present ten hours of music, dance, and video, featuring one-minute works by 600 composers, the most ever to be programmed in a single show." Chase's Broken Spaces and Paper Construction No. 1a have been featured works in Robert Voisey's 60x60 2008 International Mix played around the globe. In 2007 Broken Spaces was selected as one of the works for dance at the World Financial Center's Winter Garden Dance Collaboration. Broken Spaces appears again with dance in this unique day-long mix of 600 micro-pieces with improvised movement. As part of the Supernature group show vernissage, Ngoma Lungundu - 3rd Movement will be shown in the Blackbox Theater, 6:30pm. Chase will attend the IASESP 2010 conference to talk on a new paper on medial space and artistic practices entitled Unboxing Infinity. Details TBA. 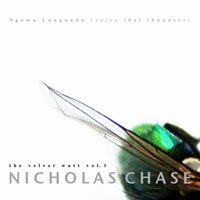 Chase reprises Ngoma Lungundu (Voice That Thunders) with new interactive video and extended musical passages. The concert will pair with Anna Lindemann's Bird Brain. Ngoma Lungundu for solo laptop in 4-channel sound with interactive video [blog about it] premiered in 2008 at the Janaceck Academie in the Czech Republic and has since toured and been released on iTunes (Get it now). This revisitation expands the studio recording with new interactive video and expanded musical passages. 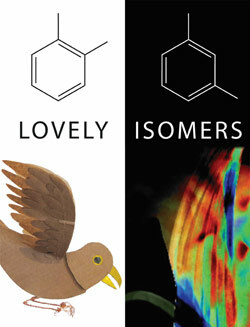 A preview of Lovely Isomers is available here. See below for another performance of Chase's work at EMPAC. The RPI Orchestra teams for the first time ever with Pauline Oliveros' improvising research ensemble Tintinnabulate to premiere Chase's Uuq, an extravaganza of noise, energy and madness! Chase gives the World Premiere of the newly revised Songs of the Thirsty Sword Part I (For Lucky Mosko) as part of Re:Soundings' A Festival of Firsts at the Brick Elephant in Valley Falls New York. A Festival of Firsts is a music and multi-media extravaganza featuring 8 premiere performances facilitated by Damian of Kalvos and Damian and composer Mary Jane Leach. Chase continues his exploration of of dynamic, spontaneously composed visual narratives and music with the haunting Songs of the Thirsty Sword Part I (For Lucky Mosko) for solo piano with interactive electronics and video. Preview the piece here (scroll to the bottom of the page). 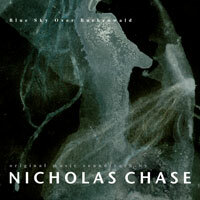 The Summer brings two new studio albums from Nicholas Chase, the first full-length commercial releases since 1993. These feature Chase's most recent musical explorations, brand new material premiered and toured last fall in Europe and the US. Ngoma Lungundu (Voice That Thunders), features the studio premiere of the epic 4-movement title track, originally created for live, multi-channel electronics, mastered here for home stereo and iPod, and comes alongside Seventh Sense, the half-hour opus for bass and electronics featuring a tour-de-force performance by contrabassist Cristin Wildbolz. Seventh Sense was originally released on STV/Unit records in Switzerland on 5.1 Surround Sound DVD, but is available in the US for the first time in this specially re-mastered stereo edition - and includes 3 minutes of material not issued on the Swiss release! Also appearing this Summer, Blue Sky Over Buchenwald, the electronic soundtrack to the Alternativer Medienpreis nominated documentary Wie kann es so schoen in Buchenwald sein? by Gabriele Rabe. The recording features original tracks produced for the documentary as well as a selection of originally composed and performed acoustic tracks that provided the basis for the electronic soundtrack. +60x60 features the 60x60 2008 International Mix plus composers from SUNY Stony Brook in Long Island, NY. 60x60 is an annual project made up of 60 works from 60 different composers where each work is 60 seconds (or less) in length. Featured in the 2008 International Mix will be Chase's Broken Spaces recently premiered with dance (see below) and Paper Construction No. 1a. 60x60 is produced by Robert Voisey. BGSU Electronic Music Studios presents 60x60 2008 International Mix. 60x60 is an annual project made up of 60 works from 60 different composers where each work is 60 seconds (or less) in length. Featured in the 2008 International Mix will be Chase's Broken Spaces recently premiered with dance (see below) and Paper Construction No. 1a. 60x60 is produced by Robert Voisey.